Pianists often seem to have the weight of the classical tradition on their shoulders, just like saxophonists have the jazz greats looking over theirs. Here are releases which, in different ways, seem to engage with that tradition without being weighed down by it. Although Occhipinti is a young jazz pianist, his playing here with Leandre has strongly classical, ven Classical, resonances. 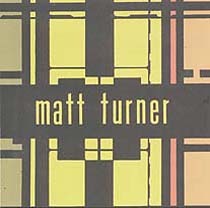 The whole thing can often sound like a sonata for double bass and piano, conceived by a delerious Hindemith. If that doesn’t sound much like a compliment, it is. These two create wonderfully rich chordal structures, finding a place somewhere between functional harmony, jazz and atonality with not a note agreed in advance. Occhipinti is great at varying the levels of density in his playing, a concept which his partner for this session understands only too well. And just as the music can range from big, loud chording to light, detailed playing, so it also covers the ground between the melodic and almost soothing right through to (occasional) blasting or insectoid improv. 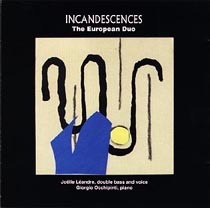 Those who don’t know this pianist’s work are urged to check this out; it’s very impressive, and Leandre, always a valuable duettist, works wonderfully with him throughout. 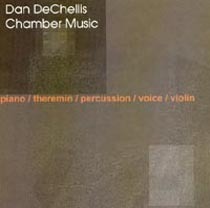 Dan DeChellis, on the other hand, takes his classical influence sufficiently to heart as to refer to what he does as “Chamber Music”, and to call himself a “composer”. This group of three improvisations certainly has a strong whiff of Boulez about it, a kind of crepuscular quiet having crept over even the noisier parts, of which there are rather few. Instead, Anita DeChellis’s impeccable soprano bobs and weaves in an environment rather like that of the magnificent Pli Selon Pli, all tiny gestures which seem to join up, across the delicious gaps, to create something distantly related to melodic lines. Special mention should also go to Coleman’s fantastically melodramatic theremin, sounding more like Messiean’s Ondes Mertenot in these settings than the sci-fi camp it usually conjures up. Matthew Goodheart also sounds as if he has a debt to Boulez, but this time to his intense Piano Sonatas rather than his often spare chamber music. 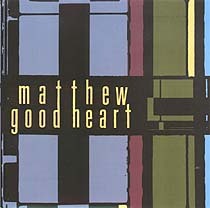 Goodheart’s compositions (for so they are called) are frenetic, in-your-face Modernism, pin-sharp and bristling with detail. There’s always plenty of detail to be heard in this kind of music, of course.